Photographing Opals or Opal jewelry takes practice, patience and a few simple pieces of equipment. There is nothing like seeing an Opal in person as it is all about movement and light, however, with some practice and the right props, taking photos of Opal and Opal jewelry to show their characteristics, can be done. Kent takes the photographs of all our products as he has the skill and many years of experience - after much experimenting. He focuses on the Opals first, as this is what it is all about, and then one or two shots of the jewelry piece. Photos are taken using a simple point and shoot camera on the macro zoom setting, two pieces of board joined together to create a little shading, a desk lamp with a 40 watt bulb and either a small ring stand or tweezers. The videos of the Opals and Opal jewelry are taken in a similar way and give the best indication of the play of color and brightness. 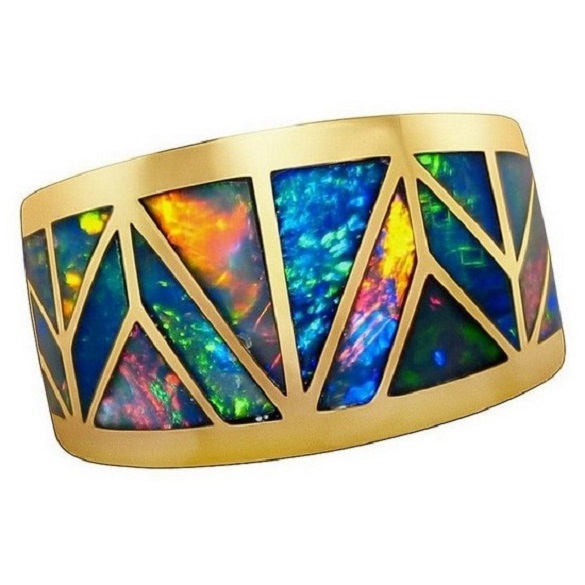 The photos of Opals and jewelry on this website, have had the background removed and in some cases, the metal work touched up with an online program. The Opals are NEVER touched up in any way. EVER. See the example photos below. Using the macro zoom and focusing on the Opal, while not using any shading such as a lightbox, will show what looks to be blemishes such as scratches, dents and dust. This is not visible to the naked eye and all jewelry is inspected with head gear prior to shipping to make sure the silver or gold is free from any blemishes. In some cases, the Opal in rings or pendants is not secured allowing the buyer to choose the gold color or ring size they wear. Once the Opal is secured, the metal is professionally finished with a high polish. The final buffing and polishing is done after setting the Opal so as not to lose any gold or silver and for the Opal to be secured for the best fit. While taking our own photos of products may not always produce the ultimate desired image, using the services of a professional photographer is very expensive in Australia. This would also increase the price of products which we feel is not warranted. There are a small amount of jewelry images on FlashOpal that have been edited by an outside company, likely using Photoshop. However, this is only done when the gold or silver in the photo is not showing as it should. The Opal is NOT touched or enhanced. Below, you will see examples of a ring showing the original, an edited version by an outsourced company with the final image edited using an online program. Check the Opals in all three images - they are as in the original image and have not been touched. Taking photos outside whether in sunlight, in the shade or on a cloudy day is also possible and will just take time and experimenting to find the right combination of angle, shade and camera settings. Photographing Opals or Opal jewelry outside is more suited if you only have one or a few items. As with all Opals and Opal jewelry, viewing in person is the best way to see this amazing gem in action. But as the internet allows you to see Opals for sale all around the world, multiple photos and video can provide the viewer the information needed along with the details and a good description. If you have any questions about the quality of an Opal or a piece of Opal jewelry, don't hesitate to ask your question either through the product page or the Contact Us page. 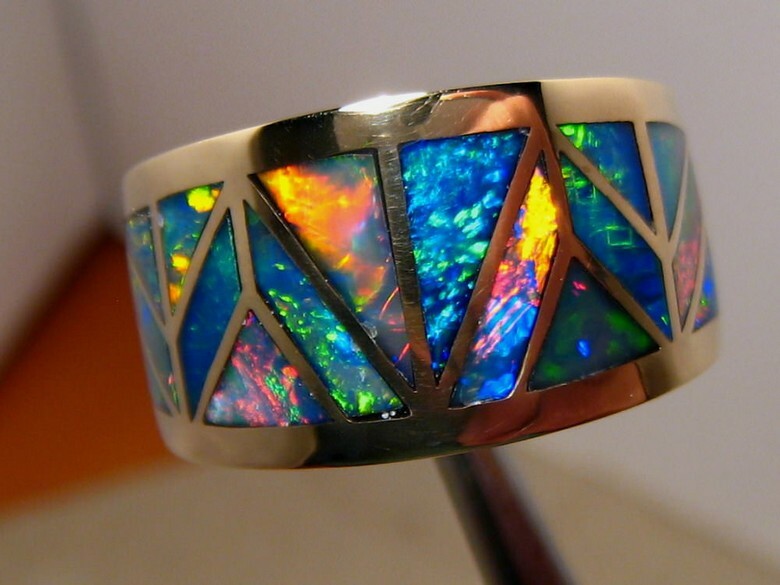 An inlaid opal ring photo without any editing shows reflections, dark areas on the gold and blemishes. 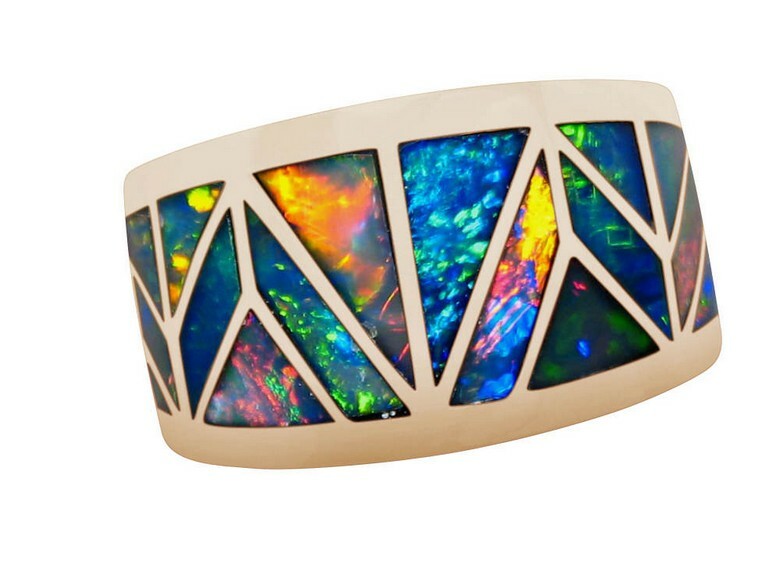 Inlaid opal ring photo with background removed and gold work touched up. Inlaid opal ring photo completed.